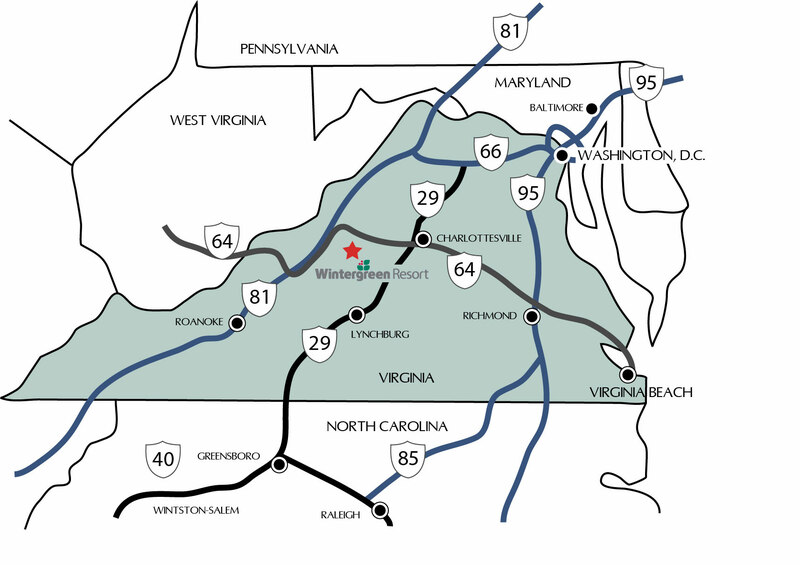 Less than a mile from the Blue Ridge Parkway in beautiful Nelson County, Wintergreen is lucky to be surrounded by pristine natural areas, rich local and national history, a vibrant wine country, thriving craft breweries, organic farms and orchards. They call it Virginia's Weekend Address for a very good reason. With over 10 wineries, breweries, hard cideries, and distilleries, you're sure to find a taste that tickles your tongue. And it's not just about the libations (even though they are award winning) -- events, live music, and great farm-to-table restaurants will keep you coming back. 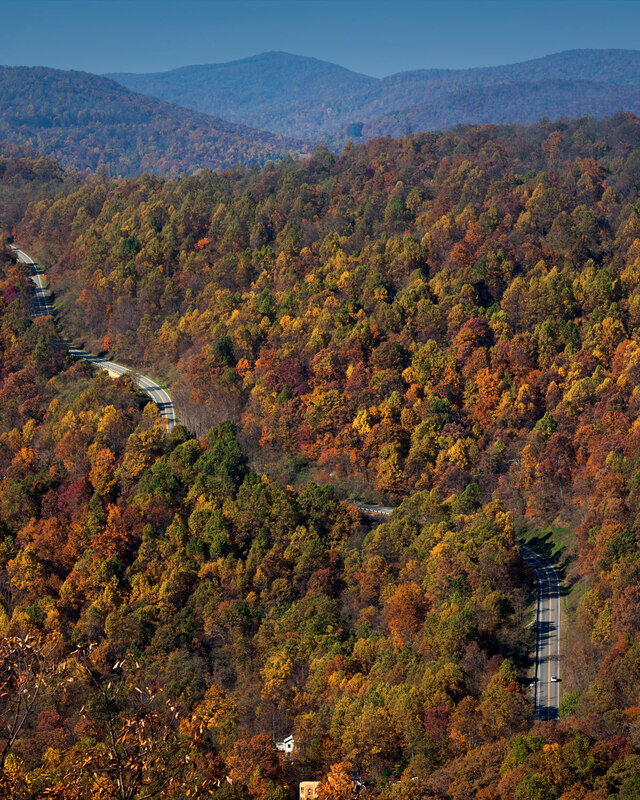 High up in the Blue Ridge Mountains, our nearest neighbors are the Blue Ridge Parkway and the Shenandoah National Forest (SNP). Stay close to home and hike on 30 miles of marked hiking trails maintained by the Nature Foundation at Wintergreen, or further afield you can explore the SNP, Appalachain trail, Luray Caverns, Natural Bridge, and much more! Daytrips to historical sites are easy! Tour Thomas Jefferson's Monticello or Poplar Forest, James Madison's Montpelier, James Monroe's Ashlawn Highland, and many other jewels of our national history. Virginia Civil War Trails also highlight some of the less-known but no less interesting stories Virginia has to offer. Everybody thinks of visiting orchards in the fall - pick-your-own apples and pumpkin patches. But you don't have to wait for fall! Strawberries and sweet cherries abound in the spring and early summer; peaches, blackberries, corn and watermelon are next; then apples, pumpkins, squash, sweet potatoes and more ripen through the fall. 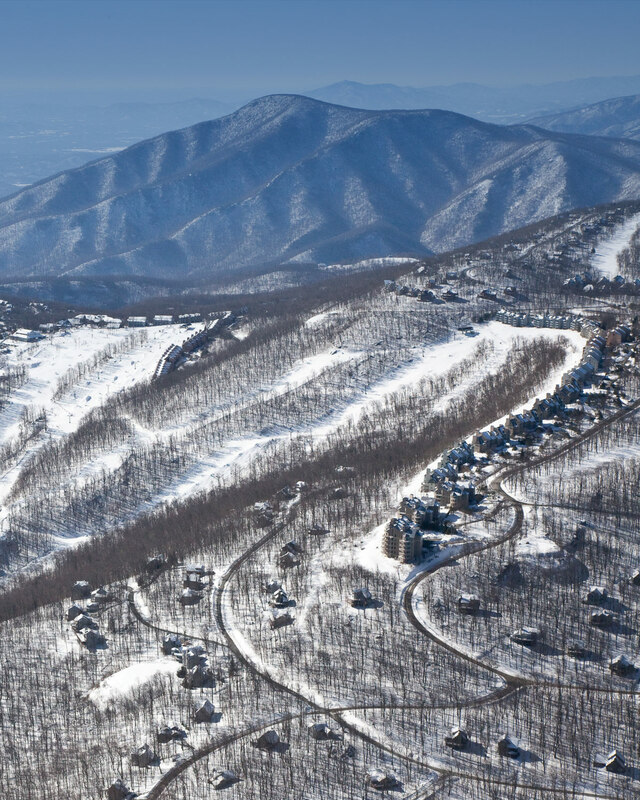 At nearly 4000 ft, Wintergreen Resort was built with a vision for recreation, conservation, and love for the land. Neighbors include The Blue Ridge Parkway, Swannanoa mansion, and Walton's Mountain made famous by the television show, The Waltons. Spanning 11,000 acres on the eastern slopes of the Blue Ridge Mountains, our spacious condominiums and homes are surrounded by winding trails, cascading streams and lush forests. The best part? We're easy to get to, on well-maintained roads.